Intimate guest resort, nestled on the pristine shores of Holland Lake. Your perfect Montana getaway with genuine, attentive service. An institution among Montana anglers, our well-stocked fly shop features lodging for anglers and guides for hire. On the famous Rock Creek. 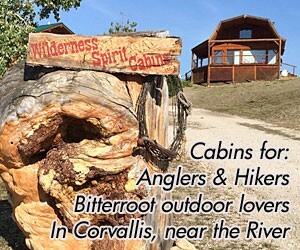 Luxurious, yet rustic, lodging & fly fishing just 40 minutes from Missoula. Find hotels near Glacier National Park.